The Brittany region is situated in the Northwest corner of France and contains 4 departments stretching from Ille et Vilaine in the east to Finistere in the west. 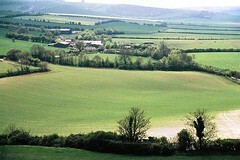 The region covers a massive area of 27,208km2 which is the equivalent of Cornwall, Devon, Somerset, Dorset, Hampshire and Kent - almost the size of the South of England with a population half the size at only 3 million! This means that the area is mostly unspoilt countryside and traditional French towns. With over 2730kms (1600 miles) of coastline, Brittany has the longest stretch of coast in France dotted with historic harbours, beautiful beaches and dramatic clifftops. If you are considering a romantic weekend with your partner this Valentines then might as well consider Barcelona, Spain. It is great for all those who have not been there before. Even if you have been there before, it is sure that you have already fallen in love with the city. Barcelona, Spain is popular for its culture and history, romance began with Romeo and Juliet, and they along with Barcelona can combine result in a great Barcelona weekend. If you want to visit Barcelona from UK, then you have bundles of cheap flight options. Once you reach Barcelona, it has several places to visit. Honestly, a weekend or two days is not enough for the city, you might not be able to visit everywhere and see everything in the city. Are you always on the run? Are you tired of meeting deadlines and commitments? Perhaps you need a vacation to unwind yourself. Take a trip to Rome to rejuvenate your mind, body and spirit. Escape the humdrum of everyday life. Treat yourself to a magical retreat from the mundane. Get in touch with professional guides to know about Rome tours to the Sistine Chapel, St. Peter's Basilica, Pantheon and other places in Rome. A Roman vacation will infuse color into your otherwise monotonous life. It will help you beat the blues and make your life exceptionally thrilling and exciting. In 1945, at the end of II World War, Italian economy was very bad as there were no resources to modernize Railways Network. 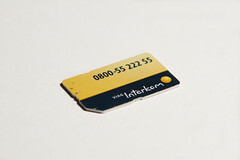 Fares were very low but service had also very poor quality too. Trains were always late as they stopped in all stations because they had to serve as many people as possible. Imagine: more than 20 hours were needed to go from Milan to Reggio Calabria (the main city of Calabria Region, down in the South of Italy) and it took 8 hours' time from Milan to Rome. You know that feeling, one minute you're driving through the winding streets of a peaceful Provencal village admiring fountains and chapels and deciding on a spot for lunch, the next, you're surrounded by a raucous crowd and being shepherded down a flight of steps with more sheep than you can shake a (French) stick at. To save your blushes, and to help you make the most of Provence's intriguing calendar of local events and festivals, here's my rundown of some of the best. The Bastille has long been an important figure in Frances history. Built as a fortress during the hundred year war, it has switched colors frequently and served as a castle, a treasury, and lastly a prison. When it was first converted into a prison by Charles VI it was primarily used to hold political prisoners. The region of Campania is one of the most popular in all of Italy, visited by millions of tourists every year from both home and abroad. There are two main reasons for the area's popularity, and they couldn't be more diverse; the beautiful Amalfi Coast, with its stunning beaches and scenery, and the world-famous Roman town of Pompeii, destroyed by Vesuvius, but preserved under layers of ash. Of course, there is also the capital of the region, Napoli, to enjoy too, with its vibrant cultural life and many museums and art galleries. It's hard to describe Rome in a few words; a city so vast and rich in art, monuments and exquisite views, a historic city, which has preserved its charm and independence throughout the centuries. Rome has its own special charm and ambience and with its wonderful climates the city shows itself from its best side almost all year round. There's much to do and even more to see, and most are the historical places and historic sites are within walking distance of one another. 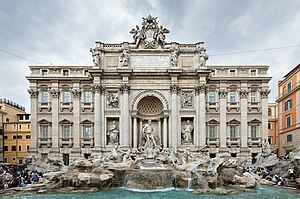 Once the seat of the mightiest empire in existence, the culture of Rome has shaped the face of art, architecture, law, warfare, warfare, literature and language in the Western world today. 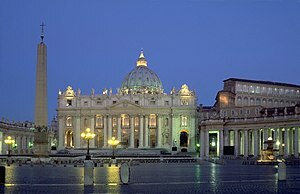 In fact, some refer to Rome as the 'cradle of Western civilization'. Staying in one of the luxurious Isle of Wight cottages will make your next getaway even more special for the whole family. These spacious Isle of Wight cottages are ideal for travelling groups, big or small. Famous for magnificent self-catering accommodations, these Isle of Wight cottages provide superb customer service and top of the line amenities. Those who will bring their own car to get around the town will not have to worry about parking spaces, because there are ample slots allotted exclusively for guests. When spending Isle of Wight holidays, you are assured that boredom won't strike any time. There are tons of activities to engage into during your Isle of Wight holidays, restaurants to try different international and local cuisines, nightclubs to hang out with friends, beaches to explore and castles to reunite with IOW's history. Once home to Queen Elizabeth, IOW is undoubtedly one of the fortresses of England's affluent heritage and culture. To better know the roots of the people from this island, pack your things and get ready to be mesmerized during your Isle of Wight holidays. Here are some recommended places to visit. There is lots of dancing to be experienced in Barcelona and one in particular you really should try to at least watch, if not try yourself, is the Sardana, the national dance of Catalunya and an important part of Catalan culture as it's seen as a representation of their identity and pride. The Catalans were viewed as a threat by the dictator Franco who ruled the country from the end of the 40's to '75, he hated them for their strong independence and refusal to submit to his rule, as a result he banned many of their local customs and traditions including the Catalan language and the Sardana in an attempt to beak their spirit. This is partly why the dance is so popular these days, loyal and proud the Catalans are keen to keep their traditions alive and teach the younger generations about who they are, as well as providing a sense of unity. For the people that are keen in beaches and sea Italy is undoubtedly the ideal destination, With its kilometers of coasts, the different types of landscapes, the numberless hotels that are to be found in the Italian regions, and the tourist attractions that characterize the Italian seaside resorts, from the North to the South, when you speak about sea holidays in Italy you are really spoilt for choice. And no matter if many Italian people prefer more exotic or faraway destinations, looking for something different; certainly you can find many interesting seaside resorts also in many other countries, but there are also many Italian people that recognize the huge heritage that they have at disposal and decide to spend their holidays on one of the many beaches of Italy. Moreover there are many foreigners who visit Italy and come from Russia, Germany and many other countries to relax under the Italian sun listening to the sound of the Mediterranean Sea, and who remind Italian people of the valuable asset that they have at their disposal and that many foreign people envy. If you're familiar enough, the Spanish music is very romantic. Spain in itself is a great country that offers so many wonderful attractions to visitors from other parts of the world. So if you'd like to be surrounded by the real Spanish whether people, music, food and tourist spots, then consider a romantic honeymoon in Spain, where else. Whether you're still engaged to be married or have already tied the knot, this country is one of the top destinations for an unforgettable and unique European honeymoon. There are just plenty of places you can visit with your loved one so choose wisely according to your personal preference and budget. By a stroke of luck I ended up in Emilia-Romagna, an Eden of fine cooking and savory ingredients. I'd been living in France for nearly a decade and, while the food captivated me, each trip to Italy begged another. Growing up in the U.S, I had an idea of Italy as a European state, but now I was discovering its infinite provincial diversity. The nation has millennia of history, but it's only been a unified country since 1861. Twenty individual regions weave a multicolored patchwork of provinces, cities, and villages: bygone kingdoms and feudal states. In 2000 I landed a job as a tour guide with a company based in Forlì. No idea where that was. I hefted my world atlas onto the kitchen table and thumbed through the index: F... For... Forlì. Italy sculpts more of a leg than a boot on the map. Forlì lies in Emilia-Romagna: a broad expanse spreading across her thigh like a garter. The region takes its name from the Via Aemilia - the 160-mile ancient Roman road stretching east, straight as a tightrope from Piacenza to the Adriatic Sea. Many visitors to France decide to stay in a Paris boutique hotel in order to see the famous city's sights and visit its iconic attractions. Whether it's climbing to the top of the Eiffel Tower, or strolling through the grounds of the Sorbonne, Paris is full of remarkable experiences; but taking time for a walk down the Champs-Élysées ranks as one of the most enjoyable ways to spend an afternoon in the city. It's known in Paris as 'La plus belle avenue du monde' - the most beautiful avenue in the world. The avenue is a piece of the city's history, having been a focal point for Parisian life since it was first developed, as a series of fields and market gardens in 1616. The name itself is the French translation of 'Elysian Fields', the home of the dead in Greek mythology. When staying in a central city hotel Rome on your Italian holiday, all attempts at maintaining a diet must fall by the wayside. There are incredible gastronomic experiences that are awaiting you all through the city. Think Italian gastronomy and very soon your mind will drift to coffee. Drinking coffee and cafes are a way of life here in Rome, and every Roman has their favourite. One café that has been serving up espresso for hundreds of years is the Antico Café Grecco. This is considered to be one of the world's three oldest cafes, having been operating since 1760. During its expansive history, characters such as Casanova, Lord Byron, Keats and Goethe have all enjoyed their beverages here among the charming décor. From one end of the world to another, there's no destination like Greece for a romantic, Mediterranean honeymoon. Time and time again, Santorini, Mykonos, Rhodes, Crete, and other Aegean islands are rated as the best honeymoon destinations. If you're looking for a few ideas for a true luxury Greek honeymoon, have we got some ideas for you! Sightseeing in Spain is incomplete without visiting the beautiful mountains that spread from the Bay of Biscay to the Mediterranean Sea. However, moist city dwellers cannot stay without the comforts typically available in the cities. So here is a list of some mountain hotels in Spain with all the modern amenities. Grenoble is a city in France situated at the southeastern part of the country. Its population is about 158,000 and it can be found right at the foot of the Alps where two rivers, Drac and Isere, meet. Grenoble's earliest history dates back in the 43 BC when the Allobroges tribe inhabited the place. The town was then compounded with a wall built in 286 AD. The place was turned into a Roman city following Emperor Gratian's visit. Known as Cularo during that time, the city was renamed as Gratianopolis, meaning city of Gratian, during 381. Its name evolved to Graignovol in the Middle Age until it eventually settled to be permanently called Grenoble. You love Italian food, than this is the perfect activity for your next journey to Italy. Learn to make the perfect pasta, a delicious tiramisu and lots of other traditional Italian dishes whereas enjoying great Italian wines and the beautiful country. It will be a truly memorable event. Besides the usual fetish for beer, there is a lot more that Germany has to offer. And believe it or not, people from all parts of the world swarm to the country, a significant portion of them waiting to indulge in the Oktoberfest. Although much of beer flows like a river at one the world's greatest parties as well, the point is, while one is enjoying liquor from green stemmed glasses, there are quite a few questions that are floating around the environs, like whether one should buy a BMW or Mercedes, hand out at the club, or soak in royal ambience at the castle, revel in Munich, or burn the roof in Berlin! Pamplona, ? ?or "Iruña" in Basque, is the capital of the Autonomous Community of Navarre. This region has borders with France to the north, the Basque Country to the west, La Rioja to the southwest and Aragon in the South and East. For a weekend, you can go visit San Sebastian and enjoy its beaches, stroll through the Pyrenees or discover the vineyards of Rioja. Driving around the city of Pamplona is simple and fast. In less than an hour, you can go from one end to another of the city by walking or taking the bus. Parks and pedestrian areas represent 20% of the urban landscape. 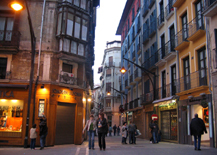 Pamplona is a city of Roman origin. You can therefore see many monuments, museums and other cultural sites. Zurich is not only full of culture and beautiful; it is also a safest city in this world. Though not one of the cheapest! Still, you need not break your bank if you are interested in holidaying in Zurich: here we are discussing top five popular attractions and some lesser know gems for getting you in that Swiss spirit! 1) Visit Church: One of the most beautiful places in Zurich are its churches. Most famous are Fraumünster, St Peter and Grossmünster. In fact Fraumünster is famous for the beautiful stained glass windows. St Peter is the largest clock face church on this earth. Bikes are eco-friendly, pleasant, cheap and healthy means of transport, and the number of people who use it is increasing although it is never enough. People do not only use bike to move around in the city, at least when weather is not bad, avoiding long and annoying queues and traffic stress, but also to travel. Bicycle touring is getting more and more popular, and the bicycle touring expo, which this year will be held in Levico Terme, Italy, is an evidence of the interest that not only professionals, but also common people have in this sector. The date to save is 3-4 September 2011, when the Palalevico will be invaded by the world of bikes. The city, in the province of Trento, is well-known for its spa, lake and wonderful landscapes, and will host the event for the first time, as in the past it was held in another city in the province of Trento, Arco. No wonder that an event dedicated to bikes is held in this Italian region: thanks to its wonderful and varied landscapes and good cycling paths it is notably fit to host an event like this. Rome is not only monuments, history and museums. For tourists wishing to enjoy a good glass of wine either white or red there are many wine cellars also in the city centre. There is not actually a specific tradition for white or red wine in Lazio region and consequently in Rome. We can say the surroundings of Rome were historically more connected to a white wine tradition, but now things are changing and also red wine is having a very good production expecially in the south part of the region Lazio with Casal del Giglio. Many wine bars organize also tasting or meetings about vineyards, harvesting, fermentation and more in general about the processes related to the production of Italian wine. If you wish to enjoy one of the best espressos in Rome you should stop at S. Eustachio coffee following what is certainly considered a real daily ritual in Rome (number 82 of Sant'Eustachio square more or less between Piazza Navona and the Pantheon even not far from Rome Piazza Venezia Attractions). The coffee in this historic bar of Rome is recommended by many guides. Flickr, for instance, considers it as "the best espresso in the world". You can decide to taste one of the S. Eustachio specialties (e.g. Monachella: coffee, chocolate and cream) directly in the bar or take away and enjoy the aroma at home. It is also possible to order through the web-site. If you wish to follow italian tradition, an option could be to come here and take an espresso after a lunch or dinner in one of the typical restaurants of Rome in Piazza Navona hidden in the small alleys of Rome city centre. Spaghetti or rigatoni, as needed. The origin of Spaghetti alla carbonara is quite discussed, someone assigns it to the Carbonari from Umbria. It seems they knew this dish and showed it to the Romans in the nineteenth century. Someone else instead argues that the inventor is Ippolito Cavalcanti, a noble Neapolitan who published this recipe in its book. The other and well known historic legend says that this dish of Rome was born during the Second World War when the Americans brought in large quantities bacon and egg powder, which were part of military rations. We have tried to suggest some typical restaurants in Rome where to taste the original and famous Pasta alla carbonara. If you decide to visit Rome it is a must to taste this typical roman dish. No matter where you are lodging in Rome, every district of the city centre is full of good restaurants or trattorias where it is possible to try this special pasta. To eat the carbonara means also you won't need anything else as the dish is full of ingredients usually included in a complete meal. Ever since the 19th century Valencia has been well renowned for growing the most beautiful of citrus fruits, the orange! With over 70% grown for export, the climate that Valencia enjoys is beneficial for growing oranges. The climate here is cold during the winters that are responsible for the lovely orange color. The sweet and sour flavour is because of the warm sunny summers and the mild winters. The exact region that is responsible for giving the world the choicest of oranges is Burriana. Burriana is filled with orange groves and the people in this town are benefiting from its exports. Tourism is not the main earning source of this area, like its surrounding areas. There is however one place that most tourists would love to visit and that is the Orange Museum. This museum is in the historical area of the town basically in the old merchant's townhouse. This museum is again the only tourist office in this area. Tourists will love to find pictures of old orange cultivation methods and usually are enthralled with the 5,000 types of orange box labels as well as posters that date back into the years. There are also old printed tissues that were used to wrap the oranges in. "Cor magis tibi Sena pandit" (Siena opens up a greater heart than this gate) is the sign that greets visitors at Camollia gate, one of the gateways to the historic centre of Siena. This cordial invitation is the business card of a city that needs no introduction. Founded, according to a popular legend, by Remus, brother of the legendary founder of Rome, Romulus, Siena is an open-air museum. The severe palaces and steep alleys of the old town have remained the same since the middle ages when Siena was an independent republic. A large part of the cities ancient pride is still present in the temperament of its citizens, which is expressed fully on July the 2nd and August the 16th of each year during the famous Palio festival, perhaps the oldest and most authentic popular celebration in Italy. In the heart of the city is the magnificent shell-shaped Piazza del Campo, dominated by the high Torre del Mangia, considered one of the most beautiful squares in Europe for architectural harmony and balance. However Siena also offers beautiful churches and museums in addition to the ability to surprise even the most hurried visitor with unforgettable views. The old town is a UNESCO World Heritage Site. The region Veneto does not need any presentation: thanks to its varied landscapes (the Dolomites first of all, which are now part of the Unesco World Heritage), to its beaches and to the art cities that are well-known all over the world, from Venice to Verona, Veneto is the most visited Italian region, with around 60 million tourist presences every year. The success of the region is also due to the numberless typical products that are part of the culture of this region, food and wines that can tell you a lot about this land and that can flavour a holiday in this wonderful region with peculiar and unforgettable flavours. Is Spring The Best Season To Spend A Month Or More In Paris? "April in Paris" is a ballad that probably inspired more spring vacations in the City of Light than any advertising campaign ever did, with its lyrical descriptions of "chestnuts in blossom" and "holiday tables under the trees." The fact is, April in Paris is generally chilly and rainy, and although the fabled chestnut trees are indeed blooming, along with lilacs and wisteria, one would probably rather avoid lunching under dripping trees.